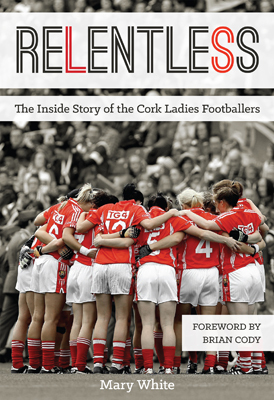 Relentless tells the story of the rise of Cork ladies football over the past decade. From having never won a senior title in the county’s 31-year history of the sport, to winning Ten All-Ireland titles in 11 years, nine National League titles and 10 Munster titles, one man changed everything. Eamonn Ryan stepped in to coach at a time when the senior set-up was in disarray. 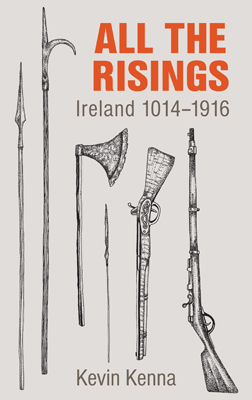 Along with manager Mary Collins, Cork football was transformed to begin a legacy they could never have imagined. But, it wasn’t all plain sailing. From the passing of their statsman, Tim Murphy, to cancer in 2008, to a shock loss against Tyrone in the 2010 All-Ireland quarter-final as they bid for six in-a-row, a year of resolve in 2013, and the most incredible of comebacks ever witnessed in Croke Park in 2014. And of course becoming the first female sports team to be publicly voted as RTÉ Sports Team of the Year. This is the story behind the scenes of the Cork ladies footballers and what makes them one of the best teams ever in history of Irish sport. Mary White is one of the leading women’s sports journalists in the country. For 14 years she covered ladies football in her spare time while working a full-time job. Her interest in ladies football first began as an intercounty player. She then became PRO of the Cork County Board, aged just 22, to help garner more publicity for players, before covering the sport for local and national newspapers. She has represented her county in three different sports – ladies football, basketball and soccer – while also representing Ireland in tag rugby.